New Zealanders are promising reprisal against a magazine that revealed the finalists of My Kitchen Rules Australia before it aired on TVNZ 2. A post congratulating the winners was uploaded to Facebook at 10am on Monday, four days before the finale was due to air in New Zealand. By Tuesday, the post had acquired about 300 angry reactions and more than 600 comments. 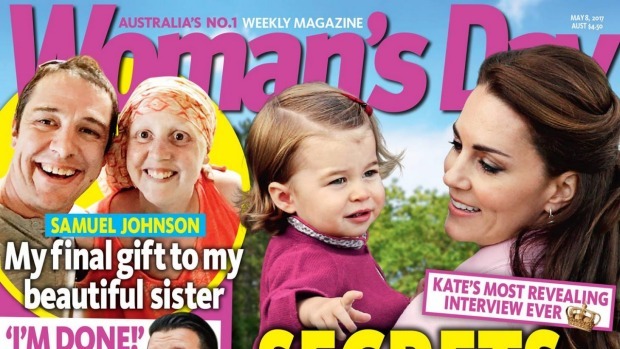 Furious Kiwis then launched a tirade against Woman’s Day Australia, the magazine that revealed the season eight winner. New Zealand fans threatened to pull their subscriptions, remove their emails form Woman’s Day’s mailing list and stop buying the magazine. “Why didn’t you wait till next week with these headlines. I won’t ever buy ur [sic] mag again and I’m taking you off my email list as well,” commented Berny Caullay​ of Petone. However, a Bauer Media spokeswoman in New Zealand confirmed it was unlikely that any of the angry commenters actually subscribed to Woman’s Day Australia because it was not sold here. The company sold The Australian Women’s Weekly as well as New Zealand’s Women’s Day and Woman’s Weekly, but not Woman’s Day Australia. That was an Australian magazine intended for Australian audiences only. One commenter, Stacy Lee Turner, pointed out that the Facebook page was Australian. Her outrage subduing post attracted only one like. It said, “this is [the] Australians’ Woman’s Day though, and it aired there last night”. Kirstin Belton of Whanganui replied to Turner, saying the post had shown up on her page even though she didn’t like Woman’s Day Australia. “That’s why so many of us are p….. off,” she added. About 600 angry New Zealanders commented on the post. Young & Shand managing director Duncan Shand explained that Facebook showed people content it thought they would find interesting. Shand specialised in digital advertising and social media, he said Facebook’s algorithms calculated, based of our interests and connections, what it thought we would find most interesting. When a friend with similar interests interacted with a post, then Facebook would likely put the post on your timeline to test if you were also interested, Shand said. In effect, as more and more outraged New Zealanders commented on the post, more New Zealanders who were yet to see the My Kitchen Rules finale were likely shown the post. A TVNZ spokeswoman said the broadcaster was careful not to reveal any spoilers on its website, channels or on social media. But spoilers do happen, she said, especially with international programmes. “With an international show such as My Kitchen Rules, there is always the possibility that fans will seek out spoilers or come across something via international magazines or social media. “We run My Kitchen Rules as close to the original air date as possible so the likelihood of spoilers lessen, and we trust our local media to wait until audiences have had the chance to see the results on-air before reporting it in the media,” she said. The Australian finale of My Kitchen Rules was due to broadcast Thursday at 7:30pm. Bauer​ Media Australia, that produces Woman’s Day Australia, was asked for comment.